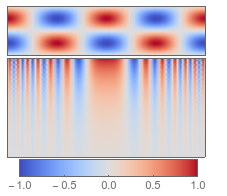 I often want to plot two dimensional data that is centered around zero (for me, this is usually a 2D optical spectroscopy signal, but there are other cases), and the MATLAB "Jet" color scheme is ubiquitous in my field. I find this scheme to be horrendously ugly, and others have written at length at how bad it is for conveying information: see here, here, and here for just a sample. One of the main problems is that the perceptual changes in the color don't go at a uniform rate across the map. There are regions where the colors appear to change much faster, leading to the appearance of perceived bands. Nor does the luminosity follow any type of pattern, such that people with color deficiencies can have trouble reading the data. 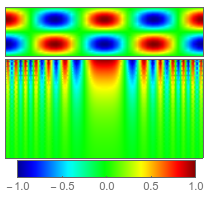 For showcasing data where there is a lot of zero-values and some positive and negative features, the Jet scheme results in a field of bright green, with positive and negative features shown in red and blue, all of which is oversaturated. 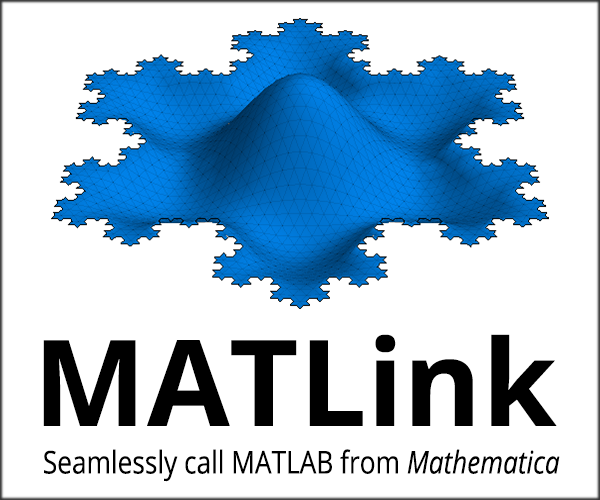 Mathematica has done well to avoid this color map altogether, yet I have been called upon to use it on occasion so I took the trouble to import it from MATLAB. but neither of these does what I want here, which is to assign a "special" color to zero. What I would like is an implementation of Kenneth Moreland's diverging color maps. 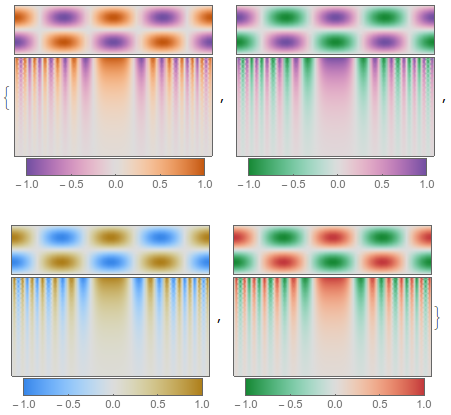 In his paper linked there, he describes a recipe for creating a continuous diverging color map starting from any two RGB colors, by converting to linear-RGB, then XYZ, then CIELAB, and finally into Msh, a polar-coordinate version of CIELAB. I've taken the liberty of converting the pseudocode from Moreland's paper into a package. 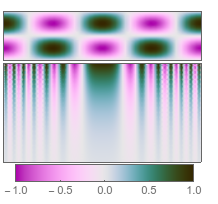 I had to change the numerical values of the RGB->XYZ transformation matrix to account for the fact that Mathematica uses different reference white points for the different color spaces. Update I've created a package, and uploaded it on on github. Much thanks to J.M., I've changed a few functions around to make them simpler - but I have kept all the color conversion functions because I like them for clarity, and they don't slow it down compared to the built-in ColorConvert function. DivergentColorFunc[color1, color2] takes two color objecst as input and returns a continuously diverging color map." CoolToWarm::usage = "Cool2Warm[n] gives the cool to warm color map, with n taking values between 0 and 1"
DivergentColorScheme::usage = "DivergentColorScheme[scheme] gives a diverging color map which interpolates between the starting and ending colors in a builtin scheme"
DivergentMaps::usage = "DivergentMaps is list of four divergent color maps used in http://www.kennethmoreland.com/color-maps/ColorMapsExpanded.pdf . divergentMaps[] is equivalent to Cool2Warm"
I even have a function that will take a named color scheme, extract the two outer colors, and build a divergent scheme from them. Not the answer you're looking for? Browse other questions tagged graphics color visualization or ask your own question. How to customize color scheme to mimic that in Origin? How to list all functions in a package? How can I collect data for visualization of quick sort? 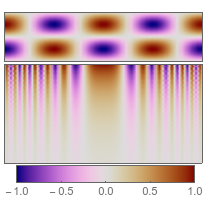 Polar color coding for complex function plots? Can color schemes for use with ColorData include opacity specification?